It is one of the worst feelings—to be alone and lonely. Especially in the midst of a crowd. The grocery store, your child’s soccer game, church. Wherever you go, you feel completely alone, as if you are invisible. No one sees you. And if by chance they do see you, they don’t acknowledge you, much less the loneliness and the pain you feel. I know. I’ve been there. Right where you are. Here’s the real truth. You are not alone. I know. I am there. You and I are never alone. No matter where we are, day or night, God is always with us. He is with us when we are alone at night in our bedrooms. He is with us when we sit in the midst of crowds of people. He is with us at this very moment. But sometimes we don’t “feel” his presence. The next time loneliness begins to stealthily creep up on you, or perhaps it comes crashing in like ocean waves in a hurricane, remind yourself you are not alone. The truth is GOD is with us! Previous postPsalm 84:2 Am I Desperate Enough? Thanks, Holley! 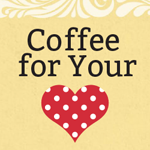 I am truly enjoying your posts and Coffee for the Heart!